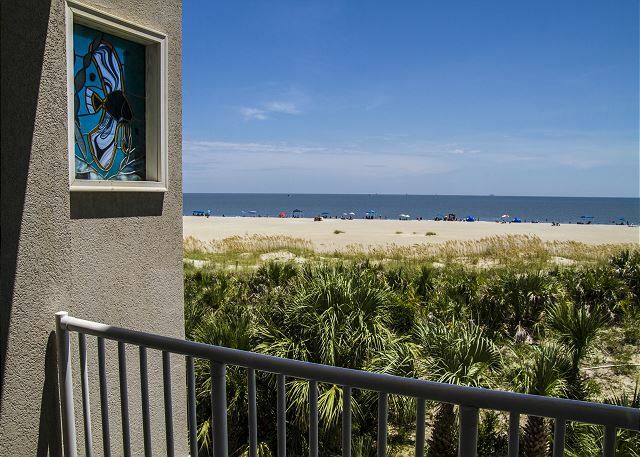 Escape the grey of everyday in a lovely three-bedroom, two-bath oceanfront condominium bedecked in mellow tones of apricot and evergreen! 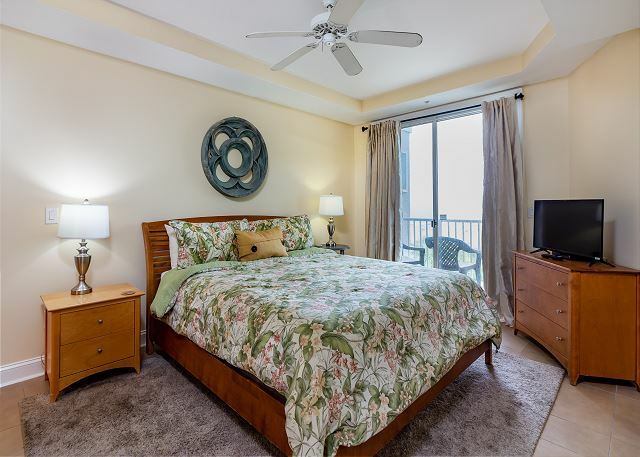 The master bedroom is gorgeously arrayed in with a king-sized bed and ensuite master bathroom. 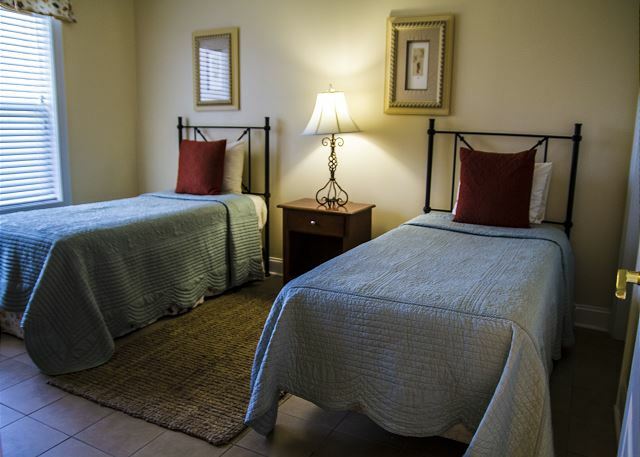 The second and third bedrooms boast a queen-sized bed and twin beds, respectively, and are only steps away from the second full bathroom. Enjoy all of the amenities of home in the pristine white kitchen with matching appliances, and from the expansive breakfast bar, enjoy the view of the warm and richly furnished living room, specially appointed for family movie and game nights, or simply spending time together watching the waves roll onto the shore, bringing with them the soothing scent of salty sea air. The condo met and exceeded all expectations. Wonderful place to stay. 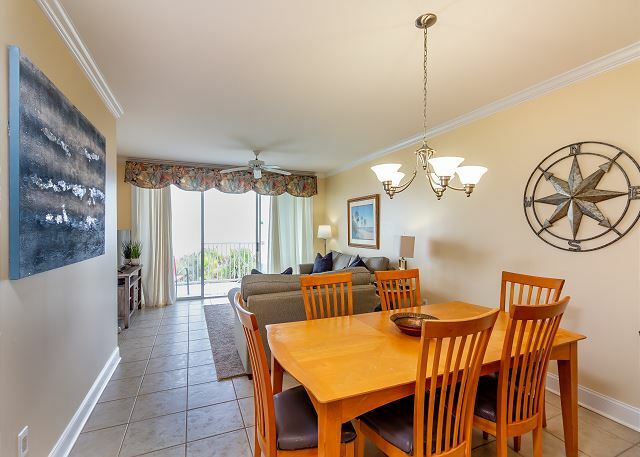 Overall condo very nice with a beautiful ocean view. Recently remodeled, only negative a walk in shower would have been nice. Shower tub combo kind of high to get in and out of. No K cup coffee maker. Had regular coffee maker but prefer single cups(different coffee drinkers) Good location, able to walk to a variety of locations on island. 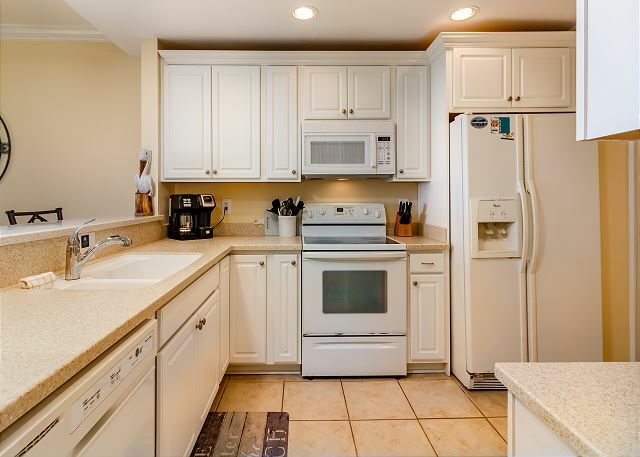 Condo needs new sliding doors, hard to open and very noisy to open and close (loud from other condos constantly opening and closing above and below us) overall great stay. Will definitely stay there again! The room was nice for the most part. We were told the cleaning staff was shorthanded, so we were not able to check in until 4:00 (we were hoping to get a couple of hours early - the desk clerk was rude when we asked if the room would be ready early). When we got in the room, the microwave was had food remnants and crumbs everywhere. The housekeeper even left some cleaning supplies on the couch (which I used to clean the microwave. The refrigerator and freezer were both off when we came in, and it took til the next morning to even start making ice. Finally the room was not well stocked. There was half a roll of toilet paper for the whole three bedroom condo, half a roll of paper towels, and no hair dryer (we were loaned one the next day by a much more helpful desk clerk. All negatives aside, after the first day hiccups everything went well. The room is beautiful and has a wonderful view. The food in the restaurant is amazing. We had a great time. Review by Mary Jo M.
Overall it was a good trip. The view from our balcony was spectacular. The sliding door to the balcony did not work when we arrived. We reported it to management and it was fixed the next morning. The kitchen was not as well equipped as condos we usually stay in. We stayed here a couple of times because the location and pools, resteraunt and bar was awesome. The beach house section is the best in my opinion. The AC didn't work when we checked in but the maintenance got on it quick and had it going. They have 2 pools but was maintenceing 1 of the pools so that was crowded. The condo was clean but needs some painting and a couple of other qwirks but I would stay here again. The property was as described. 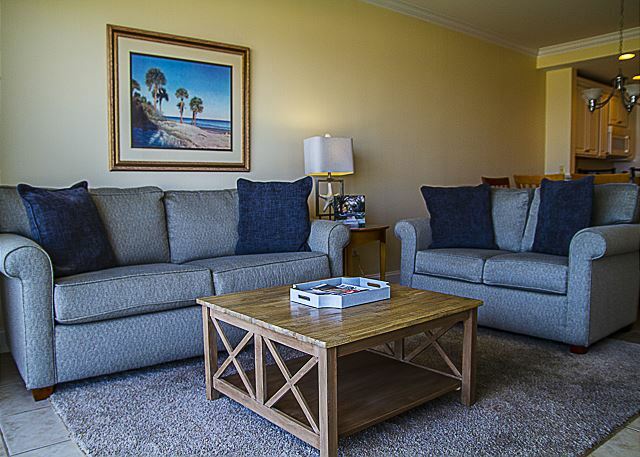 The property manager/staff were very helpful when we were making reservation and knowledgeable regarding property. Checking in and out was easy ! Beach house was very nice! The furniture was clean and the beds were comfortable. The pots and pans were well used! We brought our own beach chairs, beach towels and pool toys as none was provided. The 3 pools are small but adequate. I would definitely stay there again! Reservation process was good, check in and check out was good. 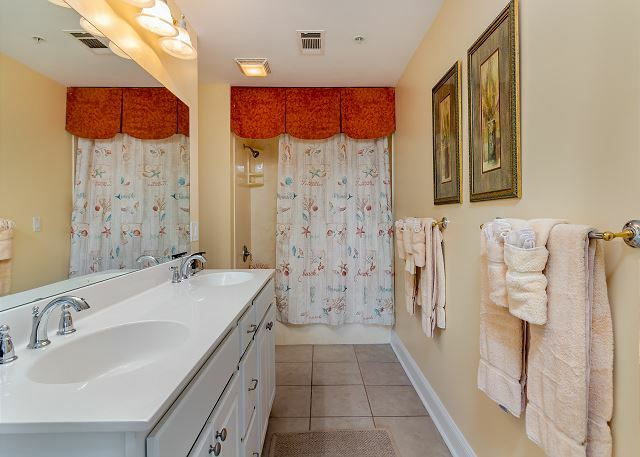 The 3 bedroom condo was exactly as described. We reserved three beachfront condos and each condo was fabulous. 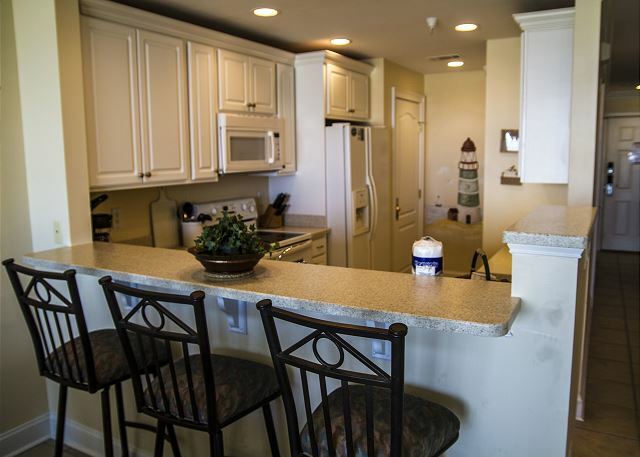 The staff at Beachside Colony were not only professional, but very friendly. The condo and location were amazing. It was a little disappointing that there was no sleeper sofa and the Jacuzzi didn't work but we made due. A special thanks to Charlie for helping us with our vehicle when he got off work. Defiantly worth the money and plan on going back. Although I am still waiting on the owner to email me back. Condo was very nice and close to everything we wanted to do. This was our second time staying at Beach House and will stay again in the future. The stay at Tybee was nice!! We loved the location and the pool / restaurant combo was perfect! Thank goodness for plenty of parking for us and our guests. The amount was pricey considering we only stayed one night. Most of the staff was friendly and very helpful...we emailed about the condo and got a quick, informative response. We are looking forward to another opportunity to visit next summer! Our family stayed here for a wedding on the beach and reception at the hotel. Everything was perfect!! !